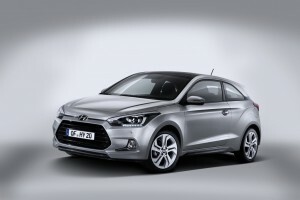 Hyundai launches new i20 3-door coupe, which goes on sale in Europe early next year (in 2015)! The long-awaited 3-door version of the i20 hatchback has been officially unveiled today during the automaker’s “product momentum show”. 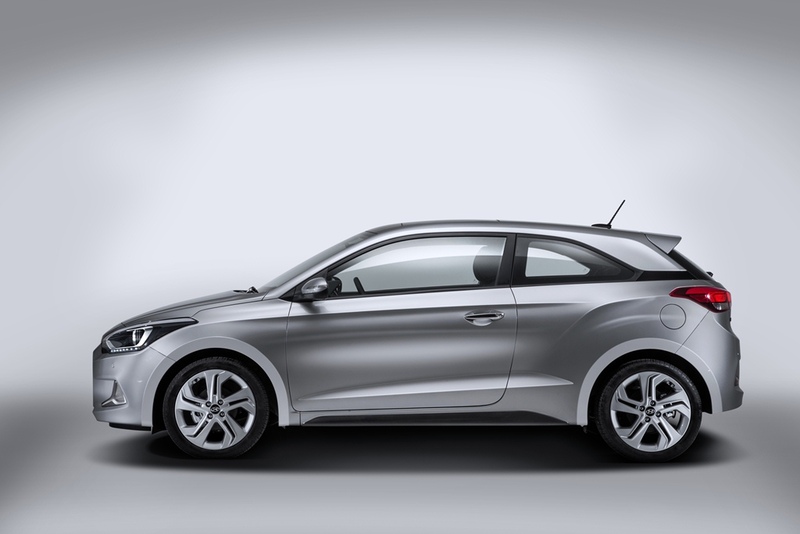 Aimed at younger, lifestyle-oriented consumers, the i20 coupe features an eye-catching exterior design, which has been significantly differentiated from the 5-door sibling model. As seen at the pictures here, the A, B and C pillars are all more steeply raked and there’s a lower, sloping roofline. 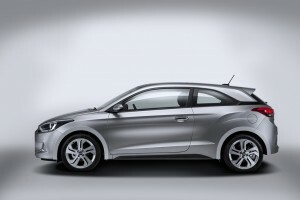 Up at front, the i20 coupe features a hexagonal signature grille and redesigned bumper. You can also notice bold wheel arches, which are dominating the rear quarter of the car and restyled bumper at rear, which host a set of newly styled foglights. 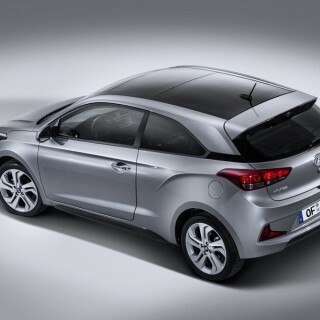 New LED tail-lamps and small roof spoiler further differentiate the 3-door coupe from its i20 5-door sibling model. Attractively styled 17-inch alloy wheels and “Tangerine Orange” exterior color complete the look of a sleeker and more stylish three-door i20 coupe! 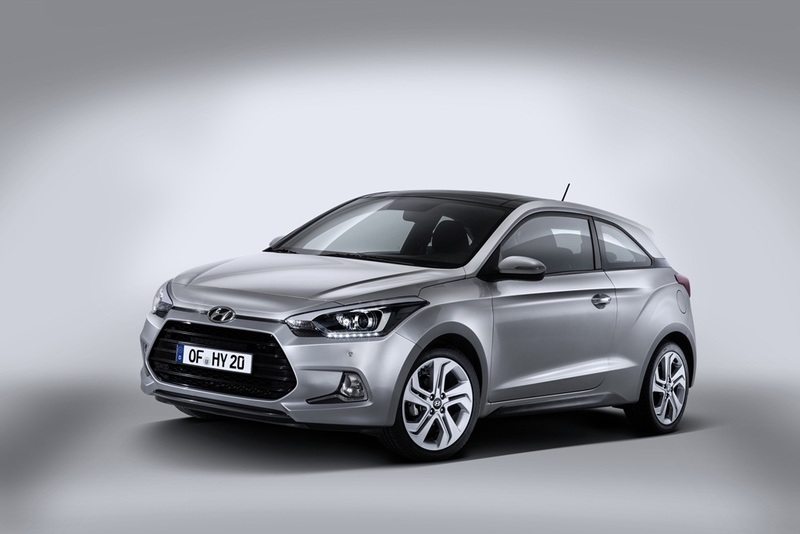 Designed and manufactured in Europe, the all-new Hyundai i20 coupe offers a choice of several different petrol and diesel engines with all of them meeting the Euro6 emission standards. Right from the start, buyers will be able to choose from two diesel and two petrol engines, generating from 84 to 100 horsepower, while later in the year, Hyundai will also introduce a brand-new 1,0L turbocharged 3-cylinder engine with maximum power output of 110-120 horsepower. Like its 5-door sibling, the 3-door coupe will be one of the largest cars in the sub-compact vehicle segment. With its overall length of 4045mm and 2570mm long wheelbase, the model will offer enough space for 5 adults. In spite of its sportier styling, the coupe will be a practical car offering a segment-leading 336L boot space.